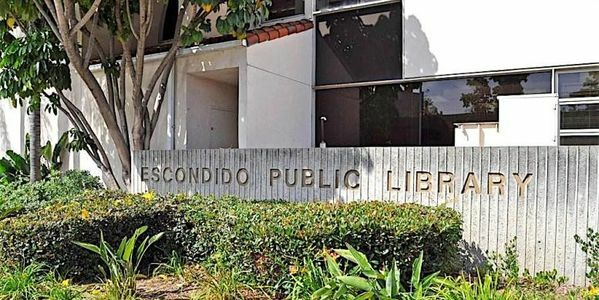 ESCONDIDO — The fight over the future of the Escondido Public Library’s proposal to outsource library functions and staffing to the company Library Systems & Services ended months ago in the eyes of many when the City Council voted 4-1 to approve the proposal. But the release of a new five-year plan published by the Escondido Public Library — “Strategic Plan 2018–2022: Innovative Library Services for a Growing Community” — serves as a fresh reminder that an ongoing court battle could determine the future of the library. The Strategic Plan 2018-2022 was mandated under the newly minted contractual relationship with Library Systems & Services, a Maryland-based company that was met with strong opposition in the weeks leading up to the City Council’s fateful vote. The newly-released plan explained which services the library will emphasize in the coming years. The report shared the results of a survey distributed to both users and non-users of the library about preferred programs and services and included resident’s quotes given to the library during eight rounds of focus groups. The document also says the library intends to do more marketing, further optimize its email outreach efforts, develop a partnership with the California Center for the Arts, be a hub for community meetings and offer more programming to bring community members into the library. That’s the short version of the list. Crosby, though the director of the library, officially works for Library Systems & Services. It’s a job she began in January, just as the court case was heating up. And that’s where the ongoing lawsuit comes into play. In response to a question about how the ongoing lawsuit could impact Library Systems & Services’ plans going forward, Joanna Axelrod, city director of communications and community services, pointed to the city’s motion for summary judgment to dismiss the case. Filed on July 26, a hearing on that motion is set to take place on Oct. 19 at the Vista Superior Court location. The lawsuit was originally filed last November by Roy and Mary Garrett, two residents of Escondido since 1972 who are active members of the grassroots group Save Our Escondido Library. While offering myriad legal reasons as to why the case should be decided via summary judgment by the judge for the case, the city of Escondido wrote in its Motion for Summary Judgement that it should also be dismissed because it believes the Garretts do not have standing to sue. The city of Escondido had previously attempted to dismiss the case through a “demurrer” on Dec. 19, 2017, a legal position that accepts the facts of the case but acknowledges they are legally insufficient to move forward. But the demurrer failed, with Judge Earl Maas ruling on April 6 that the legal case made by the plaintiffs to date warrants the case proceeding. The plaintiffs had also previously attempted to halt the case by filing a motion for a temporary restraining order and injunction, which also failed. “We expect the court will enforce the law, order the offensive resolution dissolved, and restore the public library to the management responsibility of the Board of Trustees” of the Escondido Public Library, Alan Geraci, the attorney representing Roy and Mary Garrett said via email. Geraci also stated that he believes a deeper issue, beyond the status of the Escondido Public Library system itself, is at play for the case. If the motion for summary judgment made by the city of Escondido does not prevail, and the case does not settle between the two sides before now and then, the trial commencement date is set for Feb. 22, 2019.